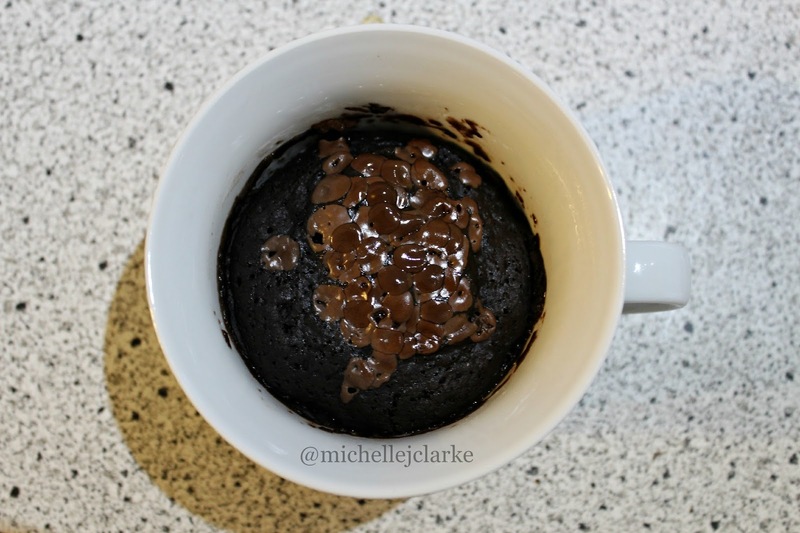 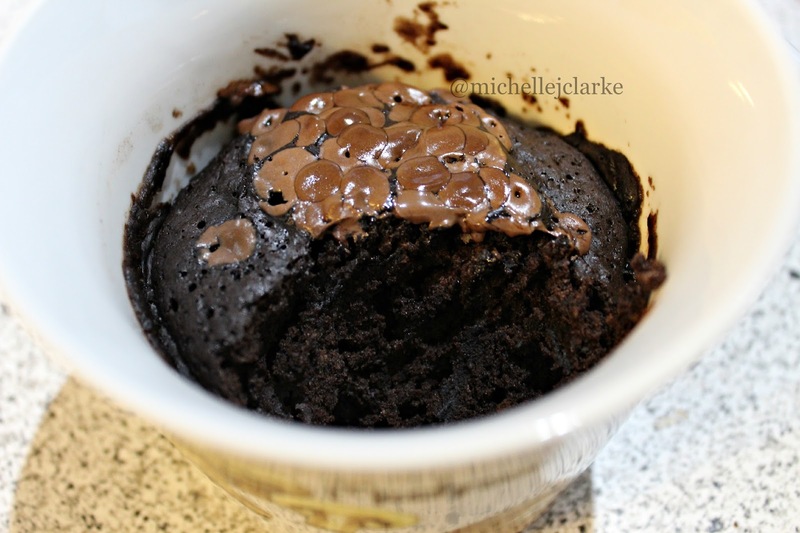 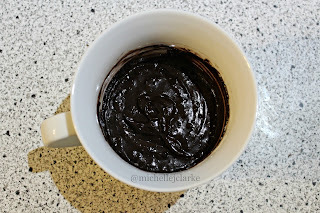 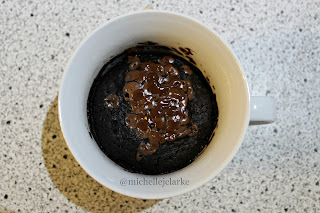 I have recently really fallen in love with Cake in a Mug - it's so quick and easy and tastes delicious! 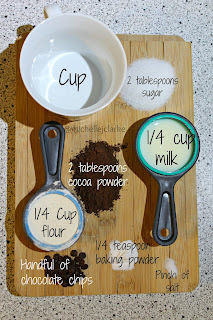 I haven't found a recipe for a chocolate chip cake in a mug, so below is my chocolate chip recipe. Mix in the milk and oil, make sure you keep stirring until any lumps have disappeared. 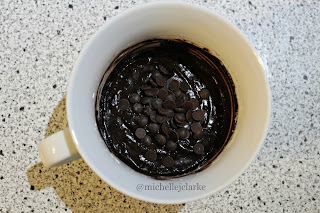 Once the mixture is completely mixed and lump free - add in the chocolate chips. You can either put the chocolate chips on top or mix them into the batter. 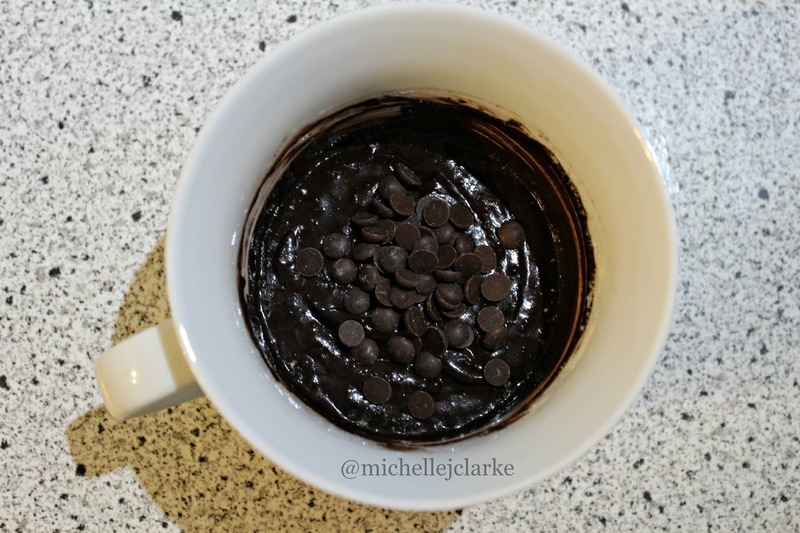 Remove from the microwave and enjoy!